Marshall Ryan Maresca: In Which I Become A Word-Whore; Or, Who is Marshall Ryan Maresca Character Anyway? In Which I Become A Word-Whore; Or, Who is Marshall Ryan Maresca Character Anyway? So, as of today, I've been added to the Word Whores blog, joining Jeffe Kennedy, James Moore, K.A. Krantz, Linda Robertson, Marcella Burnard and Veronica Scott. I'll be appearing as their Thursday blogger, though what I write over there on Thursdays will be the same thing I write here on Thursdays. My Monday post here will be unaffected. So here's my first post for Word Whores, in which I introduce myself (which might be news for some of you anyway), and discuss this week's topic. Hello! I'm Marshall Ryan Maresca, the latest addition to Word Whores, and I know exactly the question you're all asking. No, really, who are you? So: Marshall Ryan Maresca, Fantasy and Science-Fiction writer. I'm also a playwright, but in all honestly I don't focus on that as much, leaning more toward fantasy and sci-fi writing. Yeah, but, have I read any of your stuff? Well... maybe? 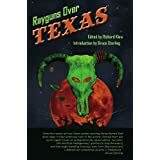 My short story Jump the Black appeared in Rayguns Over Texas, an anthology of sci-fi short stories all from Texas authors. It's a very cool anthology, and I highly recommend it. Yes. Born and raised in Syracuse, New York, a city known for its rainfall and winters where daily snow can occasionally be measure in feet. All right, admittedly, that's during freak blizzards, but it still happens. So after finishing a film degree at Penn State, I moved to Austin, Texas. A place where snow is so uncommon, a wisp of it shuts the whole city down. It is bliss. Film degree, playwright? Why are you writing novels? I actually spent quite a bit of time doing theatre in Austin, as a playwright, director, producer, and even a bit of time as an actor. As an actor, I mostly specialized in characters who got beat up, smacked around or killed. I even played a character who was killed twice: first time, getting my neck broken, and then having my brain stolen. Said brain was installed into a virtual reality system, and then my virtual self was killed. It was a weird show. So, ahem... novels, you were saying? Right. I've got two fantasy novels coming out in 2015 from DAW Books. First is The Thorn of Dentonhill, coming out on February 3rd. The next one, A Murder of Mages, will be coming out later in the year. Both books are in the same fantasy setting, in the same city, but they are each, individually, the first of a series. So you're launching two different series essentially at the same time? All right, man, it's your life. Hey, I'm asking the questions! Actually, you're not any more. Oh, yeah. So, aren't your posts for WordWhores supposed to be on a topic-of-the-week? Yes, they are! Which I'm quite grateful for, so now I won't spend Wednesday nights thinking, "What the heck am I supposed to be writing about for tomorrow?" This week is about dialogue in non-action scenes, which is a right-in-my-wheelhouse place to start. Dialogue and I are good friends. This comes from cutting my writing teeth on plays. I can throw two characters in a room and have them banter and bounce until days end. Which means sometimes, in writing prose, I fall into the trap of thinking like a playwright. I mean, I just give them the words to say. Action, emotion, intention? The actors will bring that in their performance. What's that? No actors? Just words on the page? Ah. Have to go back and revise. So, yeah, for me, it's always an active process of remembering the action of the non-action scene, what the people are doing, how they physically react to the conversation, how the POV character feels and their observations of other people's emotions. But part of that being an active process means I have to be aware that it isn't becoming inorganic. It's one thing to make sure the characters are active while they're talking. It's another to make sure I'm not just marking minutia for no reason other than to give them bits of business to do while talking. So, on some level, you do have to trust in the effectiveness of the words of dialogue themselves. Like you trust your actors to find the meaning and action that goes with it, you can trust your readers to do the same. And with that, it's time to head back into the word mines. See you down there.